We reserve the right in our sole discretion to change, modify, add, or delete portions of the Terms at any time. We will provide notice of such changes only by posting the updated Terms on our Site and changing the “last updated” date listed above. These Terms apply exclusively to your access to, interaction with, and use of, this Site and does not alter in any way the terms or conditions of any other agreement you might have with Mama Lotties for products, services, or otherwise. We encourage you to review our Terms each time you visit our site to see if it has been updated since your last visit. If you have any questions regarding the use of the Site, please refer all questions or comments about the Site to info@mamalotties.com. Mama Lotties or its affiliates or licensors solely and exclusively own all rights, title and interest in all Site materials, including, without limitation, the Mama Lotties logo, design, text, copy, graphics, videos, other files, and the selection and arrangement thereof (collectively, “Content”). Nothing in the Terms shall be construed as conferring to you any licence or right under any intellectual property right of Mama Lotties unless expressly stated otherwise. All copyright, trade marks and other intellectual property rights in the Site (including the design, arrangement and look and feel) and all material, software or content supplied as part of the Site, other than your Submitted Items, shall remain at all times our property or the property of our licensors and is protected by copyright law. “mamalotties.com,” “Mama Lotties,” and other trademarks on this Site are trademarks of Mama Lotties or its affiliates or licensors, and may not be copied, imitated or used, in whole or in part, without the prior written permission of Mama Lotties. In addition, all page headers, custom graphics, button icons, and scripts are service marks, trademarks, and/or trade dress of Mama Lotties, and may not be copied, imitated, or used, in whole or in part, without the prior written permission of Mama Lotties. All other trademarks, registered trademarks, product names and company names or logos mentioned on the Site are the property of their respective owners. Other than as expressly permitted in these Terms, you may not copy, reproduce, distribute, republish, download, post, store (including in any other website), transmit, modify, create derivative works from, or otherwise exploit any content, code, data or materials on or available through the Site or permit any third party to do the same. When you use the website, you agree to comply with all applicable laws, including, without limitation, copyright law. You may display and print material from this Site solely for personal, non-commercial use, provided you keep all copyright or other proprietary notices intact. Any other use of Content, including any commercial use, reproduction for purposes other than described above, modification, distribution, republication, display, or performance, without the prior written permission of Mama Lotties, is strictly prohibited. i) Use of robots, spiders, or any automatic device, or use of any manual process to copy or scrape the Site Content for any purpose without the express written permission of Mama Lotties. Notwithstanding the foregoing, Mama Lotties grants the operators of public search engines permission to use spiders to copy materials from the site for the sole purpose of and solely to the extent necessary for creating publicly available searchable indices of the materials, but not caches or archives of such materials. ii) You may not use, frame or utilize framing techniques to enclose any Mama Lotties trademark, logo, or other proprietary information, including the images found at this Site, the content of any text, or the layout/design of any page or form contained on any page of the Site, without Mama Lotties’ express written consent. Except as noted in these Terms, you are not conveyed any right or license, by implication, estoppel or otherwise, in or under any patent, trademark, copyright, or proprietary right of Mama Lotties or any third party. 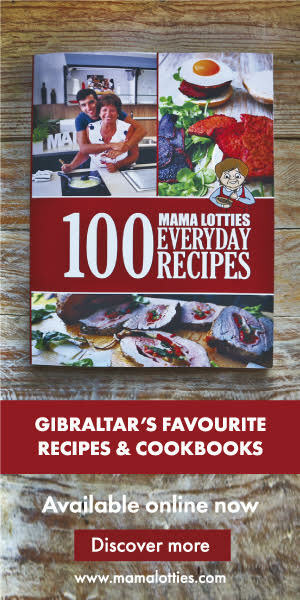 You are granted a limited, nonexclusive right to create a hyperlink to the homepage or recipe home page of this Site only, provided such link does not portray Mama Lotties or any of its products and services in a false, misleading, derogatory, or otherwise defamatory manner. This limited right may be revoked at any time. Mama Lotties may provide hyperlinks to sites such as search engines and content of third parties (“Third-Party Content”) as a service to those interested in this information. Mama Lotties does not monitor nor does Mama Lotties have control over any Third-Party Content. Mama Lotties does not endorse or adopt any Third-Party Content and can make no guarantee as to its accuracy or completeness. Mama Lotties does not warrant the accuracy of any information contained on, and undertakes no responsibility to update or review, any Third-Party Content. Users use these hyperlinks and Third-Party Content contained therein at their own risk. By submitting, disclosing, or offering any recipe, review, photograph, image, video, “favorites” list, comments, feedback, postcards, suggestions, ideas, notes, drawings, concepts, and other information, content or material, or other item (each, a “Submitted Item”) to Mama Lotties, either online or offline and whether or not solicited by Mama Lotties, you hereby grant to Mama Lotties an irrevocable, nonexclusive, perpetual, worldwide, royalty-free right and license to use, display, publicly perform, transmit, modify, reproduce, publish, distribute, store, re-format, make derivative works or podcasts from, sell, sublicense, and otherwise commercially and non-commercially exploit your Submitted Items and all copyright, trade secret, trademark, or other intellectual property rights therein, in any manner or medium now existing or hereafter developed (including but not limited to print, film, or electronic storage devices), and the exclusive right to use, display, publicly perform, modify, reproduce, publish, distribute, make derivative works of, sublicense, and otherwise exploit all such materials on commercial websites, without compensation of any kind to you or any third party. You hereby represent and warrant (a) you have all necessary right, power, and authority to grant the license set forth herein to your Submitted Item, and (b) your Submitted Item does not violate, misappropriate, or infringe any copyright, trade secret, trademark or other intellectual property right of any third party. You will take, at Mama Lotties’ expense, any further action (including, without limitation, execution of affidavits and other documents) reasonably requested by Mama Lotties to effect, perfect, and confirm the license granted to Mama Lotties to your Submitted Item as set forth herein. You agree and confirm that all facts expressed by you in a Submitted Item are true to the best of your knowledge and belief and, if your Submitted Item contains opinions, these are your own and genuinely and truly held by you; and that nothing in your Submitted Item will include an advertisement for you business or products. We do not, unless we agree this with you, claim any rights of ownership in your Submitted Item. As such, you retain all ownership rights and, although we will be able to use the Submitted Item as set out in these Terms, you will also have the right to use your Submitted Item in any way you choose. Where a Submitted Item is to be acquired this will be made clear on the Site and you will then be able to choose whether to provide a particular Submitted Item on that basis. Publication or use of any Submitted Items is at the sole discretion of Mama Lotties and Mama Lotties is under no obligation to publish or use any Submitted Item. Any Submitted Item may be rejected by us and may be edited, moderated or deleted at its absolute discretion .All decisions are final and we will not enter into any discussions or correspondence about why a Submitted Item has been rejected. If your Submitted Item is published, used and/or posted on the Site or otherwise used by Mama Lotties, we may include your name, [CO1] in conjunction with such publication, posting, or use. By submitting, disclosing, or offering a Submitted Item, you hereby grant Mama Lotties the right to use your name in connection with the publication, use or posting of your Submitted Item. You must include your full name and e-mail address with your Submitted Item so we can contact you if we have any questions about your Submitted Item; however, only your name and not your e-mail address will be published with your Submitted Item. We may, in appropriate circumstances, and at its sole discretion, remove or disable access to a Submitted Item that appears to be legally or otherwise problematic e.g. it infringes the copyright or other intellectual property or privacy rights of others, is defamatory etc. or for any other reason. In relation to all reviews and comments posted on the Site, you consent to us editing such reviews to ensure compliance with the Terms. 7. Upload, post, e-mail, transmit, or otherwise make available any Material that contains software viruses or any other computer code, files, or programs designed to interrupt, destroy, or limit the functionality of any computer software or hardware or telecommunications equipment. Although we ask that all Submitted Items comply with the Terms, you acknowledge that Submitted Items supplied by other Site users may include material you consider offensive or objectionable. We assume no responsibility or liability for such Submitted Items and as the Submitted Items are created by other Site users, it does not represent our views. You are solely responsible for your interaction with other Site users. Nature of your complaint and location within the Site of the particular content or the name of the Site user. For copyright disputes, identification of the copyrighted work you claim has been infringed and a statement that you have a good-faith belief the disputed use is not authorized by the copyright owner, its agent, or the law and that you are the owner of the copyright interest involved or are authorized to act on behalf of the owner. Your name, address, telephone number and email address and such other information as we may reasonable request. THIS SITE AND THE CONTENT AVAILABLE ON IT ARE PROVIDED ON AN “AS IS” AND “AS AVAILABLE” BASIS WITHOUT WARRANTIES OF ANY KIND, EITHER EXPRESS OR IMPLIED, AND YOU AGREE USE OF THIS SITE AND/OR ITS CONTENT IS AT YOUR SOLE RISK. MAMA LOTTIES DISCLAIMS ALL WARRANTIES, EXPRESS OR IMPLIED, INCLUDING, BUT NOT LIMITED TO, IMPLIED WARRANTIES OF MERCHANTABILITY, FITNESS FOR A PARTICULAR PURPOSE, TITLE AND NON-INFRINGEMENT. MAMALOTTIES DOES NOT REPRESENT OR WARRANT MATERIALS ON THIS SITE ARE ACCURATE, COMPLETE, RELIABLE, CURRENT, OR ERROR-FREE. MAMA LOTTIES DOES NOT REPRESENT OR WARRANT THIS SITE OR ITS SERVER(S) ARE FREE OF VIRUSES OR OTHER HARMFUL COMPONENTS. YOU ACKNOWLEDGE YOUR USE OF THE SITE AND CONTENT IS AT YOUR SOLE RISK. Mama Lotties reserves the right to change any and all Content contained on this Site at any time without Terms. Reference to any products, services, processes, or other information, by trade name, trademark, manufacturer, and supplier or otherwise does not constitute or imply endorsement, sponsorship or recommendation thereof by Mama Lotties. IN NO EVENT SHALL MAMA LOTTIES OR ITS AFFILIATES, OR ANY OF THEIR OFFICERS, DIRECTORS, EMPLOYEES, AGENTS, OR SUPPLIERS BE LIABLE FOR ANY DIRECT, SPECIAL, INCIDENTAL, INDIRECT OR CONSEQUENTIAL DAMAGES, OR ANY OTHER DAMAGES OF ANY KIND, INCLUDING, BUT NOT LIMITED TO, LOSS OF USE, LOSS OF PROFITS OR LOSS OF DATA, WHETHER IN AN ACTION IN CONTRACT, TORT (INCLUDING, BUT NOT LIMITED TO, NEGLIGENCE), OR OTHERWISE, ARISING OUT OF OR IN ANY WAY CONNECTED WITH THE USE OF, OR INABILITY TO USE, THIS SITE OR CONTENT CONTAINED ON, OR ACCESSED THROUGH, THIS SITE, EVEN IF MAMA LOTTIES HAS BEEN ADVISED OF THE POSSIBILITY OF SUCH DAMAGES. We make no guarantees that the Site will be available, uninterrupted or error free, or that defects will be corrected, or that the Site or the server that makes it available are free of viruses or bugs. Excepts as required by law, we will not be responsible for any loss or damage cause by : (a) interruption or delay to the Site or errors, viruses or bugs contained in the Site caused by an event outside our reasonable control; (b) your negligence, your breach of the Terms or failure to follow our reasonable instructions; (c) any incompatibility of the Site with any other software or material on your equipment; (d) any unauthorized use of the Site; (e) or any other factor that is outside our control. Content, information and other material on the Site may contain inaccuracies and typographical errors. We do not warrant the accuracy or completeness of these or the reliability of any information displayed or distributed through the Site (including provided through any software). You acknowledge that reliance on any such information shall be at your sole risk. We reserve the right, in our sole discretion, to correct any errors or omissions in any part of the Site and to make changes to the Site and to the materials, products, programs, services, content described in the Site at any time without notice. You agree to defend, indemnify and hold harmless Mama Lotties, its affiliates, and all of their officers, directors, agents, suppliers, and licensors from and against any and all claims, damages, costs and expenses, including lawyers’ fees, arising from or related to your use of the Site or any Materials or submissions you provide, including, but not limited to, any claim by a third party that any Materials or submissions infringe or violate such third party’s rights or interests. We reserve the right to, at our sole discretion, remove, take down, destroy or delete any Material and submissions at any time and for any reason, including, but not limited to Material and submissions, that we deem inappropriate or which we believe might subject us to any liability. We may access, use and disclose transaction information about your use of our Site, and any Material and submissions transmitted by you via or in connection with our Site, to the extent permitted by law, in order to comply with the law; to initiate, render, bill and collect for our products and services; to protect our rights or property, or to protect users of our Site from fraudulent, abusive, or unlawful use of our Site. INDIRECT OR ATTEMPTED VIOLATIONS OF THESE TERMS OR ANY RELATED POLICY, GUIDELINE OR AGREEMENT, AND ACTUAL OR ATTEMPTED VIOLATIONS BY A THIRD PARTY ON YOUR BEHALF, SHALL BE CONSIDERED VIOLATIONS OF THIS AGREEMENT BY YOU. Mama Lotties reserves the right, without notice and in its sole discretion at any time, to terminate your license to use this Site, to block or prevent future access to and use of this Site, and to remove and discard any Material and submissions. The Terms shall be governed by and construed in accordance with the laws of Gibraltar. Any disputes arising from the Site or Terms will be decided only by the Courts of Gibraltar. We make no representation that materials on the Site are appropriate or available for use at locations other than Gibraltar and access to them from territories where their contents are illegal is strictly prohibited. If you access the Site outside Gibraltar, you are responsible for compliance with all local laws. Mama Lotties can transfer its rights and obligations under the Terms to any company, firm or person provided this does not affect your rights under the Terms. You may not transfer or assign your rights or obligations under the Terms to anyone else and your Membership is personal to you.